The Somaliland government has refused to attend a conference in Brussels concerning aid to Somalia, saying it was not considered as an equal partner in the negotiations. While the Somaliland Government welcomes the decision of the international community to focus on and support our region, Somaliland has stood firm on its decision not to attend the New Deal conference for Somalia in Brussels. We have declined to participate in a conference that fails to engage Somaliland as an equal partner and recognize the democratic choice of its people, and which wrongly gives the impression that the Government of Somalia has the right to make decisions about our territory. 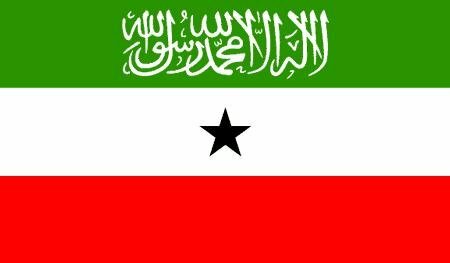 The democratically-elected Government of Somaliland is the sole legitimate authority of the Somaliland people. No one has the right to speak on behalf of Somaliland at the Conference. But the one-day event in Brussels should not distract from the larger significance of today. Today, Somaliland will enter a new stage of its implementation of the National Development Plan. At the conference in Brussels, the international community officially adopts a Special Arrangement (SSA) for Somaliland based on the global principles of the New Deal for Engagement in Fragile States. The SSA will serve as the strategic framework for development partners to engage with identified priority areas of Somaliland’s National Development Plan. The SSA was developed through a completely separate process from that supported by the international community for Somalia. The principles and priorities the guide the SSA were decided on by the Government of Somaliland, in full consultation with the Somaliland people. We have made clear to our development partners that Somaliland will not accept an arrangement that politicizes development assistance by using language that would weaken or undermine Somaliland’s pursuit for recognition as an independent state. We are grateful to our donors for respecting the wishes of our people, and agreeing to a development partnership that safeguards Somaliland’s unique status. The international community’s endorsement of the SSA represents an acknowledgement by the international community that Somaliland’s impressive achievements in peace, security and democratization require developmental support that is specifically tailored to our priorities and governmental capacities, and which is owned by our people. To ensure ownership, the SSA puts in place mechanisms that guarantee that decisions over allocation of development assistance to Somaliland are alone made by the Somaliland government and its people, in partnership with the international community. For that reason, the SSA promotes the Somaliland Development Fund (SDF) established by the Danish and UK governments in 2012 as a means to ensure mutual accountability while establishing mechanisms for the Somaliland government to better lead their development process. The SDF is now fully operational, and as the preferred funding mechanism, Somaliland will encourage donors to join and scale up their funding of the SDF. Through twenty years of statebuilding, Somaliland has laid the foundation for future transformative economic growth. The country is stable and peaceful; our children receive free primary education; we are expanding medical services and water distribution in urban and rural areas; and our citizens participate in regular democratic elections. Thanks to more stringent public financial management, increased tax revenue and more safeguards against corruption, Somaliland’s 2013 budget is the largest and most balanced in its history. The Somaliland government has therefore fostered an environment where aid can make a great impact, and in which our government shares primary responsibility over development activities. But we cannot do this alone—we require significant support from the international community to realize the goals of the National Development Plan. Engagement with our development partners through the New Deal framework is major step in achieving this.